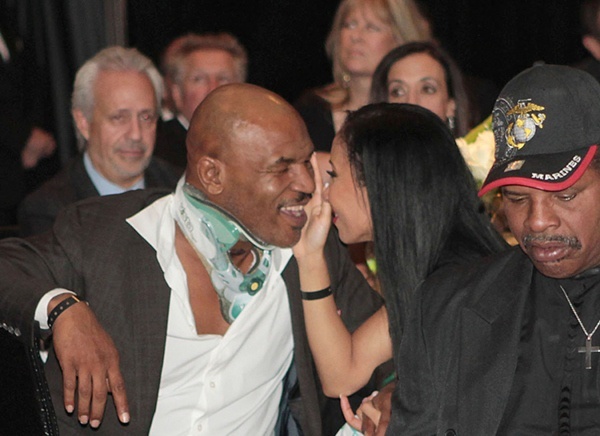 *Mike Tyson is sporting a neck brace and a significant scar after undergoing surgery to fix a degenerated disc. The boxer, 46, showed up to a charity auction held by the World Boxing Council and Hublot Watches in Las Vegas with the large scar on his neck. 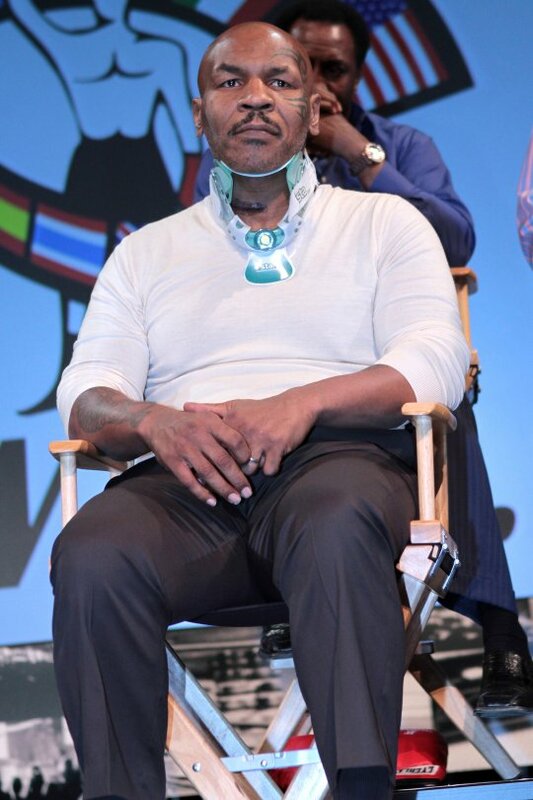 It has since emerged that Tyson recently went under the knife and had titanium pins inserted to support his neck as a result of an old spinal injury which had been causing him pain.